HOOD RIVER, Ore. – During the fourth annual Cascadia Wine Competition – the largest judging of wines from Washington, Oregon, British Columbia and Idaho in the country – many fascinating storylines developed at the historic Columbia Gorge Hotel. Now that the competition is completed, we have a little more time to dive into the details and make sense out of many of the trends. Eric Degerman and I sat down after the Cascadia Wine Competition’s final judgment to sift through the results and chat about what we saw. For those who have seen the results posted a week ago, there is no surprise that the winner was Palencia Wine Co.‘s 2015 Albariño using grapes from Washington’s Ancient Lakes of Columbia Valley. This makes owner/winemaker Victor Palencia a two-time winner, as his Vino la Monarcha 2014 Pinot Noir Rosé took home top honors a year ago. This in itself is a remarkable feat, as both wines had to run the gauntlet of more than 1,000 other entries to reach the top. Last year, the rosé won by a single vote in the final taste-off. This year, the Albariño was the clear winner. Also of interest is that this is the fourth straight year that a winery in the Walla Walla Valley has won the top prize. In 2013, Zerba Cellars in Milton-Freewater, Ore. (a dozen miles south of downtown Walla Walla) won for its Malbec. In 2013, Saviah Cellars in Walla Walla won for its GSM red blend. This year, we added trophies for regional winners, so the judges awarded the top wines from Washington, Oregon, British Columbia and Idaho. This was prompted in large part because we wanted to honor two fellow wine writers and longtime friends who died in recent years. The best Washington wine is known as the Bob Woehler Award for the longtime Tri-City Herald wine columnist and reporter who died in 2011 after nearly 40 years covering the Washington wine industry. The best Oregon wine is known as the Cole Danehower Award after the Oregon journalist who died last summer. Of significant interest to us was the wine judged best of Idaho. It was from Colter’s Creek Winery in tiny Juliaetta, a community northeast of Lewiston. 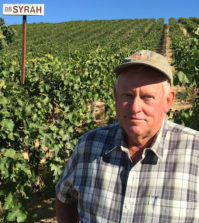 The wine, a Rhône-style red blend called Rim Rock Red, uses estate grapes from the proposed Lewis-Clark Valley American Viticultural Area, which is expected to receive federal approval this spring. That this red turned out to be the top Idaho wine is a sign that great things are ahead for the Lewis-Clark Valley. 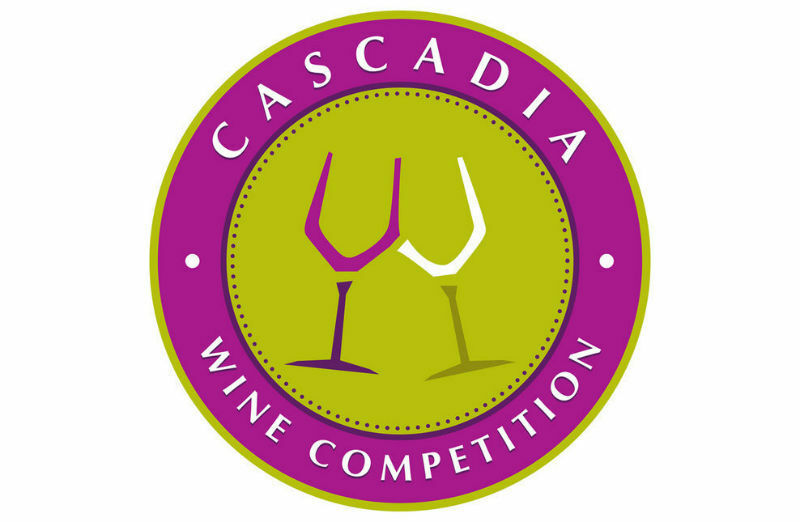 The 22 wine professionals who served as judges for the Cascadia Wine Competition were generous with their gold medals, particularly with red wines such as Cabernet Sauvignon and Syrah. While we were a little nervous about the judges awarding so many golds, when we realized they primarily came from the stellar 2012 and 2013 vintages, we better understood their enthusiasm. Both years were particularly good in the Pacific Northwest, with 2012 providing near-perfect weather and 2013 bringing the heat. Interestingly, some of the white wines from the two most recent years – 2014 and 2015 – didn’t show quite as well, particularly the Rieslings. Cabernet Sauvignon was the No. 1 category with 111 entries. Syrah was No. 2 with 77 wines entered, followed by Pinot Noir with 70. Red blends, which we split into four categories, totaled more than 170 wines, continuing the trend of this being the most popular style of wine being made in the Northwest. Cabernet Franc (36 entries) and Tempranillo (31) showed they are rising in popularity and interest. Petit Verdot surprised us with 15 entries. The red grape is a minor player at best in its native Bordeaux, almost never taking center stage. Merlot (59 entries) remains strong, while Malbec (41) continues to be a big winner with consumers and wineries alike. Rosés drew 34 entries, showing the trend for more dry pink wines continues to remain strong. We received 11 entries using grapes from the Puget Sound AVA. 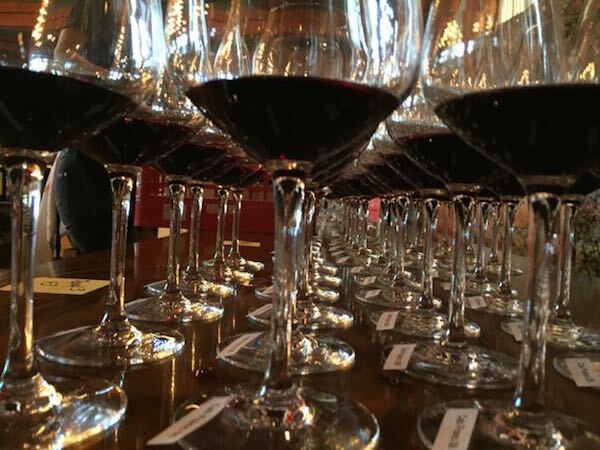 Considering that fewer than 100 acres of grapes are grown in the Puget Sound, our judges were delighted to see this many wines, which included such obscure and delicious varieties as Siegerrebe, Madeleine Angevine and Müller-Thurgau. Maryhill Winery in Goldendale, Wash., won an astonishing 10 gold medals, including two wines that were deemed best of class and three that were unanimous double golds. The large family-owned winery entered 45 wines – the most by any winery – but those wines had to prove their mettle with our judges. And they did just that. Milbrandt Vineyards in Mattawa, Wash. (with a tasting room in Prosser), won six gold medals, including one best-of-class award. 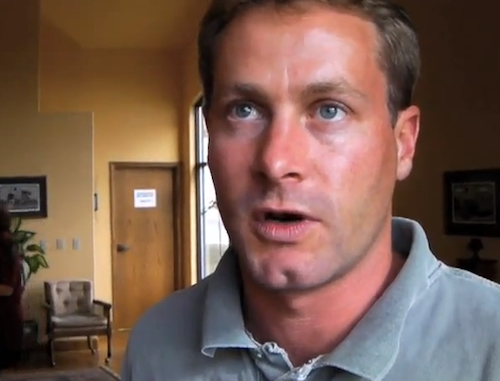 The company also won another six gold medals for Ryan Patrick, a Leavenworth winery it owns. 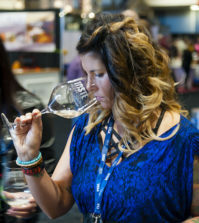 Tightrope Winery from Penticton, British Columbia, proved that the six gold medals it won at least year’s competition wasn’t a fluke. The husband/wife team of Graham and Lyndsay O’Rourke won six more this year. Tesoaria Vineyard & Winery in Roseburg, Ore., won four gold medals, including a best of class for its Sauvignon Blanc. Van Duzer Vineyards in Dallas, Ore. (west of Salem), won two double gold medals and two gold medals. Three were for Pinot Noirs, and the fourth was for a Pinot Noir rosé. Westport Winery on the Washington coast won four gold medals, including a unanimous double gold. Ste. Michelle Wine Estates won five gold medals from such brands as 14 Hands, Seven Falls, Chateau Ste. Michelle and Snoqualmie. Mt. 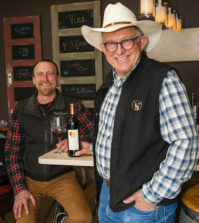 Hood Winery in Hood River, Ore., just crowned Oregon Winery of the Year by Wine Press Northwest magazine, won four gold medals, including best Oregon wine for its Pinot Noir. JoieFarm in Naramata, British Columbia, won four gold medals, including best British Columbia wine for its Noble Blend, a Gewürztraminer-based white wine. 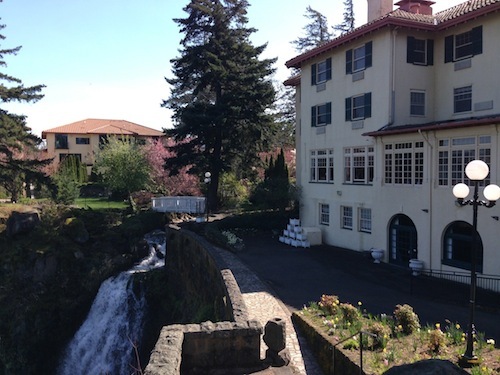 The Cascadia Wine Competition took place at the historic Columbia Gorge Hotel in Hood River, Ore. This hotel, built in 1904, has been the competition’s home since its inception in 2013. We changed the name of the judging from the Great Northwest Wine Competition to differentiate it from our fall Great Northwest Invitational. The reception to the new name has been gratifying. 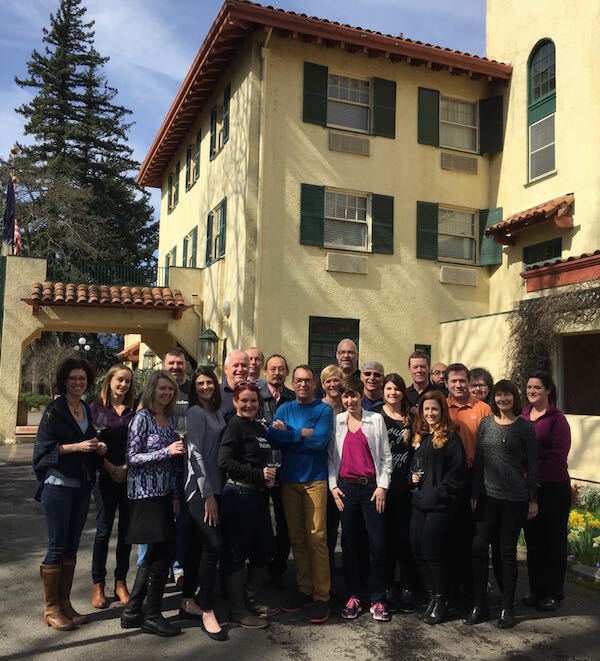 We brought in 22 wine professionals from throughout the Pacific Northwest as our judges. 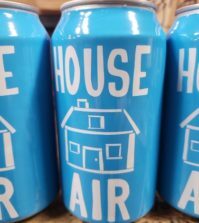 They come from many backgrounds, including retailers, restaurateurs, writers, marketers and winemakers. Twelve of the 22 judges were women. The wines are staged in a separate room, where they are catalogued and poured out of sight of the judges. All red wines are decanted before being served. The judges taste the wines blind. This means they do not know who made the wines or what the prices are, though they do know the category, such as Syrah, or the lead grape in a blended. Judges work in teams of three or four to determine the award for each wine. A majority of the judges must agree on a wine for it to receive a medal. For example, if three of four judges vote for gold, then the wine gets a gold medal. If all four judges give it gold, then it receives a unanimous double gold medal. After the judging is completed, the judges are invited into the backroom to go through and see what they judged. During the competition, wineries are immediately alerted when they win a gold medal, both via email and on Twitter. The full competition results are published a few hours after the judging is completed.